See the schematic designs at the bottom of this page. Tentative groundbreaking date for the church: fall 2019. Expected completion date: mid 2021. 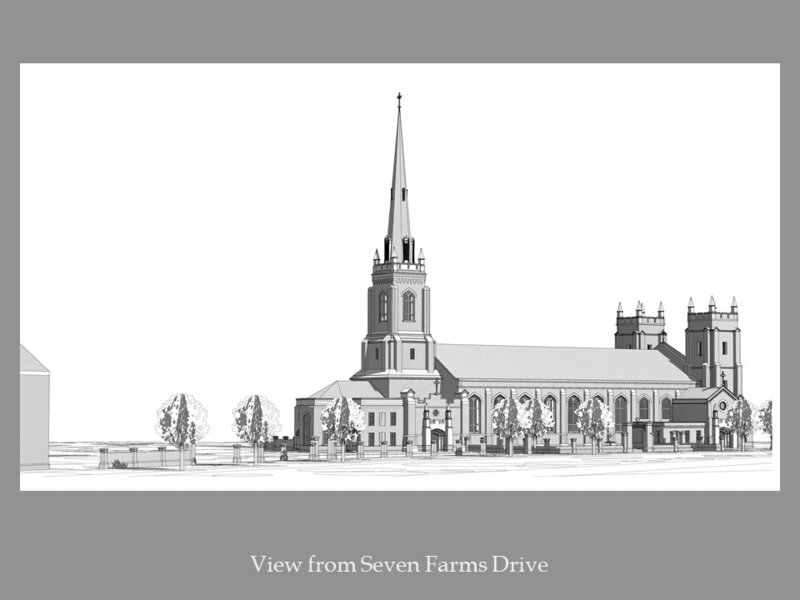 The Design Review Board of the City of Charleston granted preliminary approval of the church exterior design pending a few minor modifications that are being tended to by our architects. 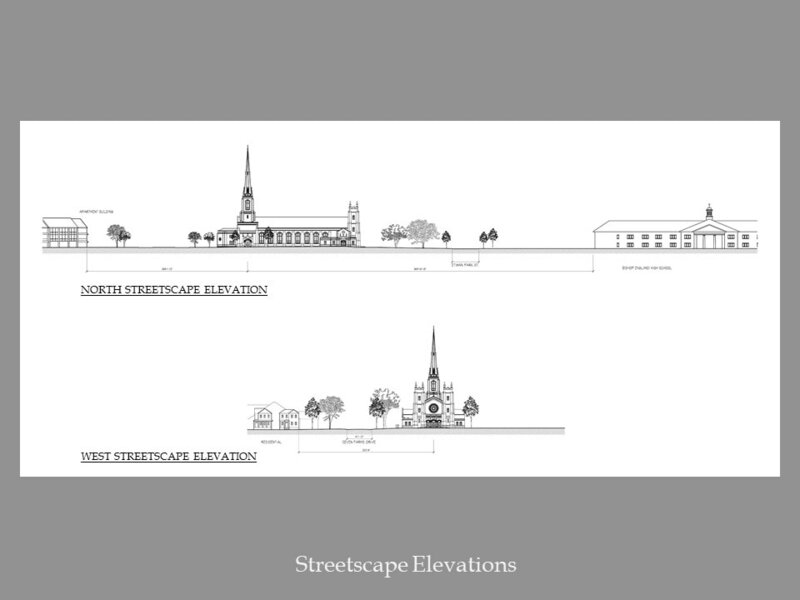 The Building and Renovation Advisory Committee (BRAC) of the Diocese of Charleston has granted approval of the design. 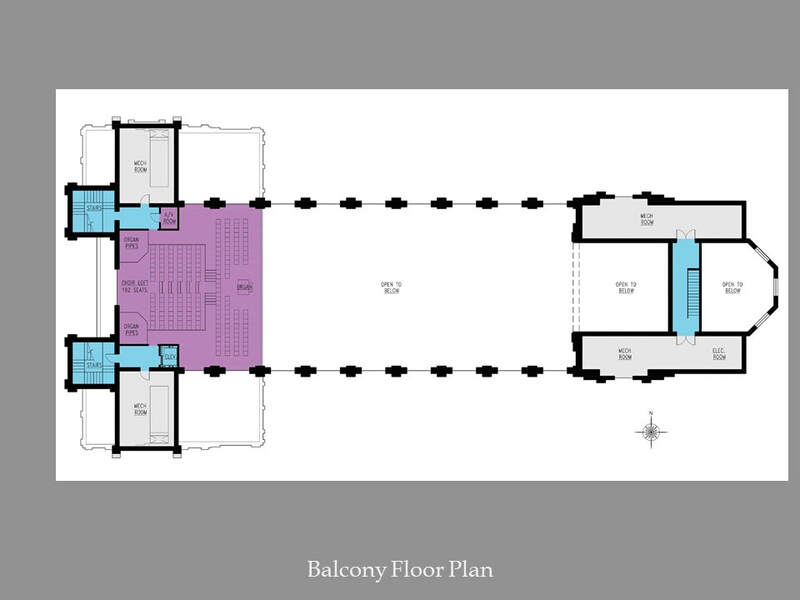 We have received initial approval of our design plans from the diocesan BRAC pending a few minor tweaks. We have finalized the selection of our site and landscaping engineering firm, contracting with Thomas and Hutton Engineering with offices in Mount Pleasant. Our architects are presently interviewing acoustical engineering firms. We have finalized the total number of seats for the church at 961, including the loft and the sanctuary area. The Adoration Chapel will seat 40 people. Two members of our Design and Build Team -- Catherine August and Frank Walsh - are investigating the closures of churches elsewhere for liturgical pieces (altar, Stations, etc.) that would be appropriate for our church. Color sketches of the interior and exterior are being worked on by our architects and will be available to the parish in a few weeks. We are making great progress! Keep those cards and letters coming! We are making our first formal presentation to the Building and Renovation Advisory Council (BRAC) of the Diocese of Charleston. The BRAC is comprised of lay and ordained people with expertise in the building and design arts as well as liturgical requirements. We are getting closer to our hoped-for groundbreaking of Phase 1, the church, in late summer 2019. It will be here before we know it! 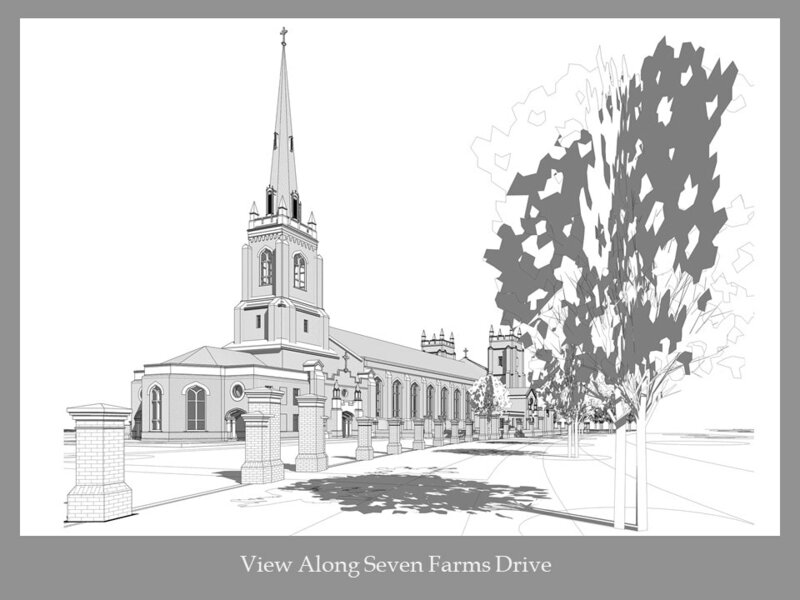 Here is an update on the activities of our parish Design and Build Team and our architects. 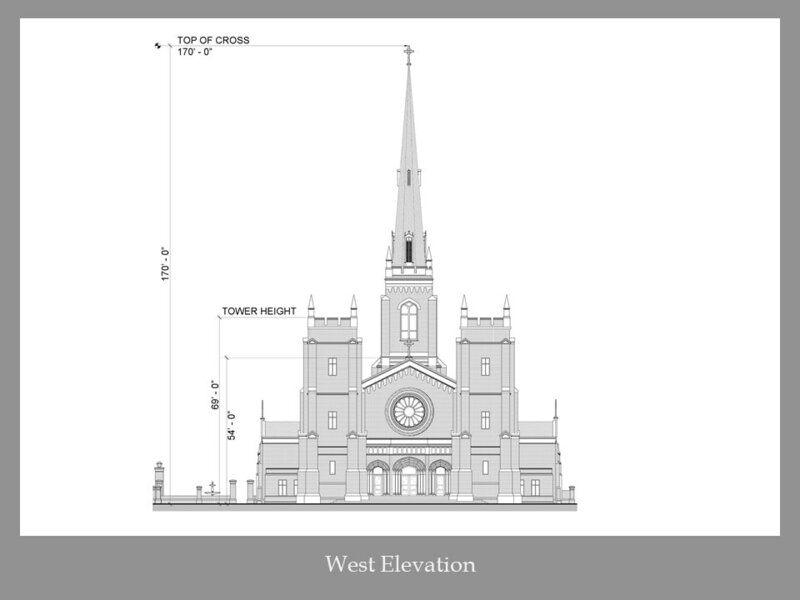 The tower and spire have been reduced from 199 to 170 feet in total height for cost savings and from public comment. 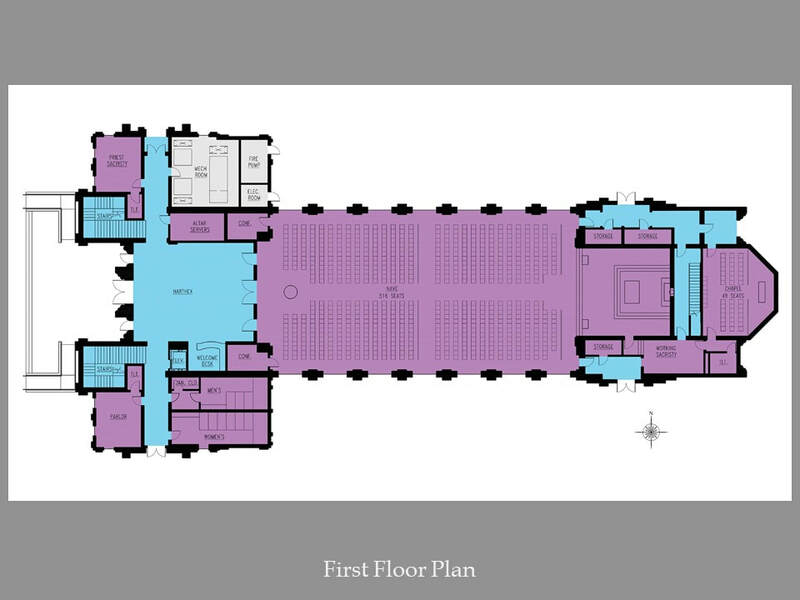 To reduce the mass of the building at the request of the Design Review Board, the footprint of the church has been reduced by moving the mechanical and electrical equipment rooms to the second floor of the areas surrounding the altar area. The doors facing Seven Farms Drive have received improved aesthetic treatment for a nobler look. To try to keep ahead of spiraling construction costs in the Charleston market, the total seating has been reduced to 704 seats. This is 12% fewer than we had hoped for but it is what we can afford at this point. The width of the front plaza facing Etiwan Park Street has been narrowed. Access for disabled persons has been improved. The crafting of detailed Design Development drawings by the architects for additional cost estimating by general contractors. Review and approval by the diocesan Building and Renovation Advisory Council. The crafting of full construction drawings and specification documents by the architects and engineers. As you examine the exterior design, you will see that the building looks basically the same as before, only smaller. It retains its majestic and timeless beauty, a tribute to the glory of God and our 2,000 year old Catholic faith in Christ. Our architectural firm has been meeting with the Architectural Review Board of Daniel Island and the City of Charleston's Technical Review Committee. These are the first steps prior to submitting construction documents (which will be drawn in the months to come) to ensure that we are on the right path in terms of Daniel Island covenants and City of Charleston ordinances. The report will be used by the general contractor, Trident Construction, LLC, to determine pricing for the proposed schematic design. The Design and Build Team, working closely with our architects, Franck & Lohsen, interviewed three local contractors and selected Trident Construction of Charleston. Trident is a local firm in business for 36 years, successfully managed the construction services of several church projects, including Saint Benedict Catholic Church in Mount Pleasant. They will begin working immediately with our architects to establish cost estimates based upon the schematic design, and will continue through final design development, preparation of construction documents, and completion of construction. We continue to make great strides toward the day when we will open the doors to our permanent church home, our gift to the Lord and to generations yet to be born. Thank you for your prayers and gifts that support this great and noble work the Lord has bestowed on us. March 13-14, 2017: Our architects, Franck & Lohsen of Washington, DC, were in town to meet with the Design and Build Team in two three-hour work sessions. This was the architects' first visit since we hired them on a four-month contract to create a conceptual schematic design. On the visit, they walked the building site, proclaiming it to be a "gem," especially because of the monumental trees that line Seven Farms Drive. In the first meeting, they asked questions of the Team about facilities needs and wants -- possible number of seats in the sanctuary, the possibility of a smaller daily Mass chapel, an Adoration chapel, numbers of classrooms, meeting rooms, offices, social space, etc. The following day they returned with long worksheets with proposed square footage requirements which the Team then reviewed and, in some cases, amended. 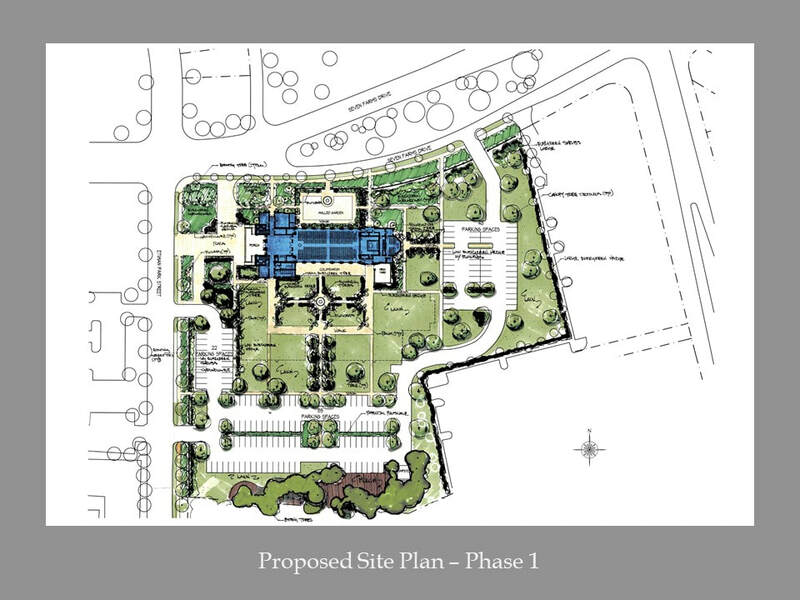 2016: Bishop Guglielmone gives the parish permission to begin planning the parish campus on the 6.1 acre site on the corner of Seven Farms Drive and Etiwan Park Drive. - Done. Fall 2016: Twenty architectural firms are vetted. Three finalists are named. The Design and Build Team selects the firm of Franck & Lohsen, Architects, of Washington, DC, a firm respected for their design of classic and traditional Catholic projects, for a four-month contract to create a schematic design of the church, parish center, narthex and other facilities. The schematic design will include proposed floor plans, site elevations, and interior and exterior depictions. It is not the final design for construction but, rather, a proposal. - Done. March to July 2017: Representatives of Franck & Lohsen work with the parish's Design and Build Team. Input sought from parish membership through town hall meetings. - Done. Summer 2017: Final schematic design completed and presented to the parish. - Done. 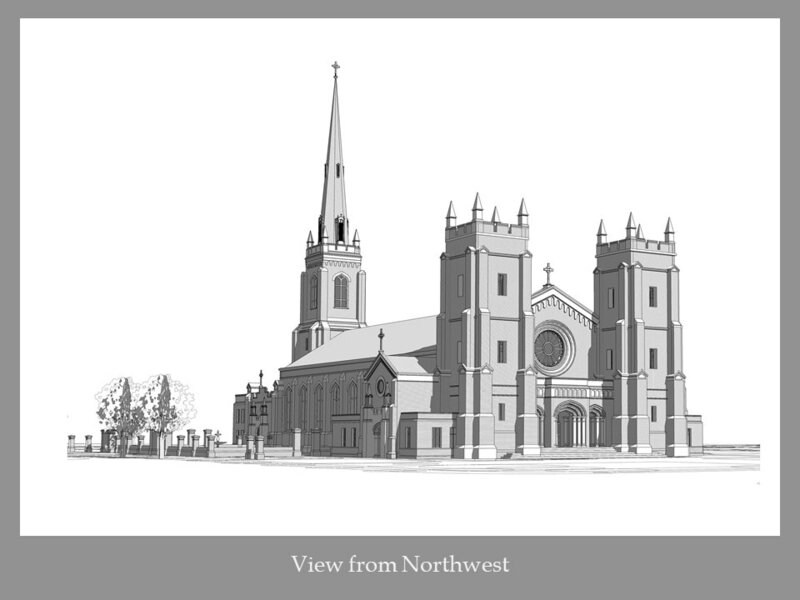 Late Summer 2017: Architectural firm chosen to begin the construction design of the church. - Done. 2018 to 2019: Design completion, permitting processes with the City of Charleston and Daniel Island, construction bids sought, contractors selected. - Underway. Late Summer 2019 (estimate): Ground breaking for the church. - Pending. Early 2021 (estimate): Construction completion and consecration of the church. - Pending.